Of your Sight-Reading Goals, what is the ULTIMATE GOAL? Read any piece of music perfectly at the prescribed tempo with musical and technical accuracy. Who are the Clarinet Sight-Reading EXPERTS? They show up to work, put their instrument together, blow through a reed or two and sight-read as a full-time job. They might get one read-through and then play to record. The next time you listen to those movie soundtracks, commercial jingles, TV themes and audio recordings, think about the expertise those professional musicians have to give you that product. Basically, they take the Ten Tips for Improving Sight-Reading, work them out instantaneously, and read to record. When you sight-read, ask yourself this, “Am I studio ready?” If someone sat you down in a music recording studio and said, “Ok, you have one run through, and then we record.” How would you sound? Do not take this too seriously. You can set this scenario up as an ULTIMATE GOAL for yourself on clarinet. Remember, sight-reading well is a life-long goal for every musician. 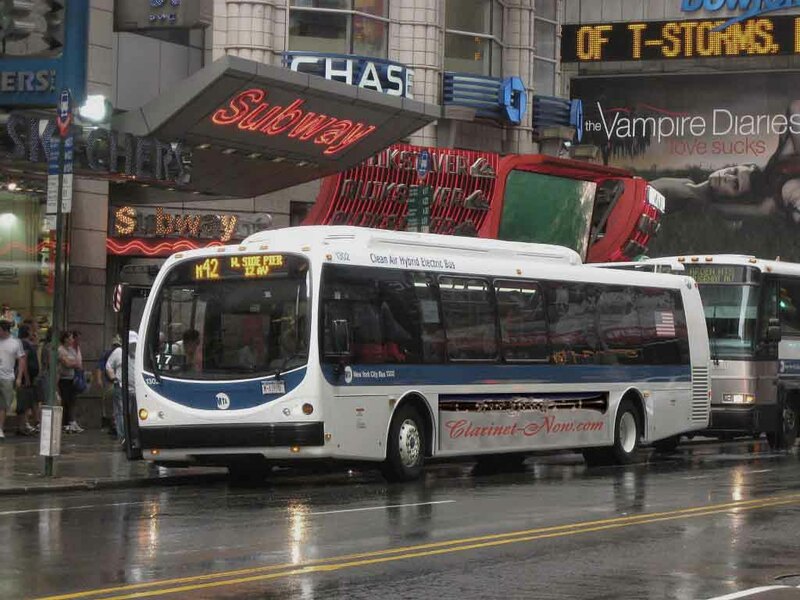 Proud of the Clarinet-Now.com banner on the NYCity Bus below. I wish they would wash it! Give yourself the same stipulations a sight-reading judge would give you. Open a method book to a random page, follow the advice listed above to improve your sight-reading, give yourself a couple minutes to finger through and analyze the music, turn on your recorder and start playing. Play through it mistakes and all. At the end, turn off your recording device and listen back to it. Follow along with the music as you listen to the recording. Where did you make mistakes? How many mistakes did you make? If you did it perfectly, perhaps you are on the way to becoming a professional musician. However, there is plenty of difficult music in the world. Now, go challenge yourself more. 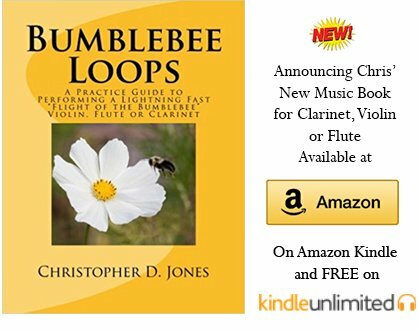 As you explore the wonderful world of sight-reading, remember this, don’t forget your fundamentals: clarinet embouchure, hand position, air support, posture, and musicality. I’ll work with my students during clarinet lessons and work to improve their fundamentals the entire lesson. I’ll give them a short piece to sight-read, then, YES, as they concentrate on time and key signatures, accidentals and all of the sight-reading items we've discussed to improve sight-reading, THEN, the embouchure, hand-position, air-support all disappoint. MAKE A BEAUTIFUL SOUND AS YOU SIGHT-READ. Keep the embouchure steady, the hands under control and the air support strong. After all, why do you practice? To make sure all of these fundamentals are second-nature. Once they are second nature, concentrating on sight-reading difficult music becomes easier. Good luck, Now Go Practice Sight-Reading!